Rangers chiefs admit Pedro Caixinha had to go after they ran out of patience with his expensive flops. The beleaguered Portuguese coach was told his time was up at Ibrox on Thursday after just seven calamitous months in charge. He was handed Â£10million to spend in the summer but despite bringing in 11 new faces, his team lurched from one crisis to another. Now new director of football Mark Allan will be charged with head-hunting his replacement as the Gers board look to avoid making another expensive mistake. In their statement announcing Caixinha's departure, chairman Dave King and the rest of the board said: "Pedro was appointed in March this year but results have been disappointing and not commensurate with the level of investment that was made available. "The priority is to appoint a new manager as quickly as possible, but the board will take as much time as is necessary to secure the right person capable of representing Rangers and providing the brand of football supporters rightly expect." Under-20s boss Graeme Murty will again take on caretaker duties when the Light Blues travel to Murrayfield on Saturday to face Hearts but it will be former Manchester City academy director Allan who lead the hunt for a new manager. Gers director Alastair Johnston told Press Association Sport: "Since we appointed Pedro we have got a director of football in place and he will obviously have a responsibility that we didn't have before. "The immediate plan is to go back to Graeme Murty which is the obvious thing to do at this stage while we evaluate the candidates and needless to say there will be a lot of people contacting us and there will be some people we will contact. "Obviously you want to do this as soon as possible but obviously you want to get it right so I wouldn't want to have any conjecture about the time frame." Caixinha leaves after just 227 days in the post having won only 14 of his 26 games in charge. 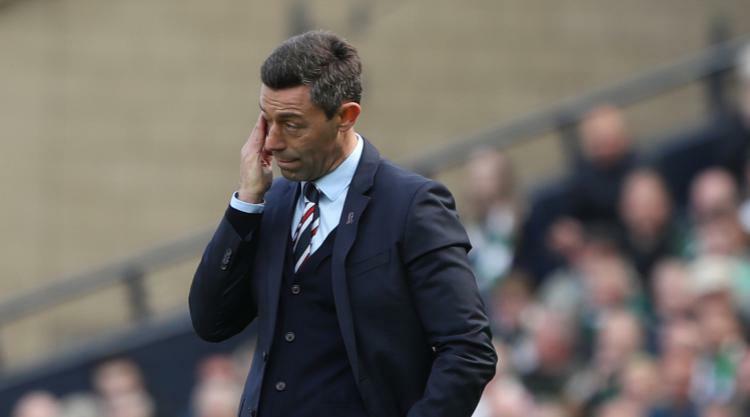 The final straw for King's board came after Caixinha's side followed up Sunday's Betfred Cup semi-final exit to Motherwell with a 1-1 draw with Kilmarnock.